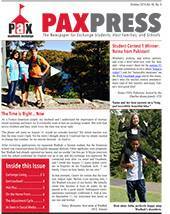 The newspaper for exchange students, host families, and schools first appeared in 1995. 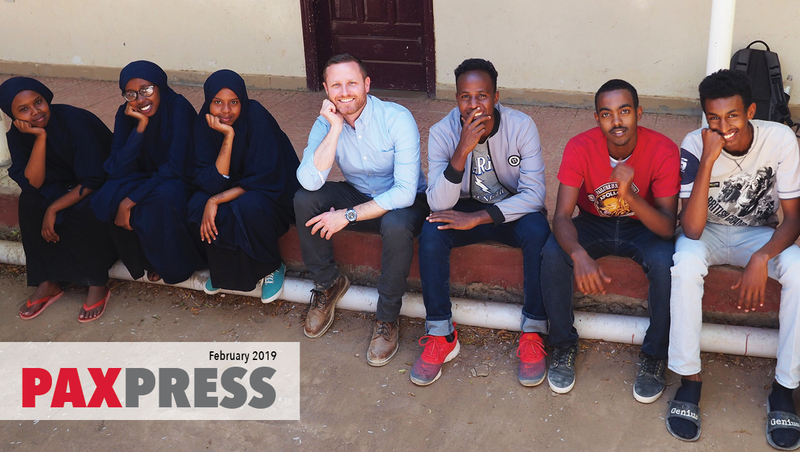 Though the now-entirely-digital publication may seem a long way from the original newsprint, the stories are much the same: becoming family, discovering school spirit, getting to know the community, appreciating the joys of volunteerism...in addition to colorful anecdotes about cultural differences, thoughtful look backs at the impact of the program, and much more! 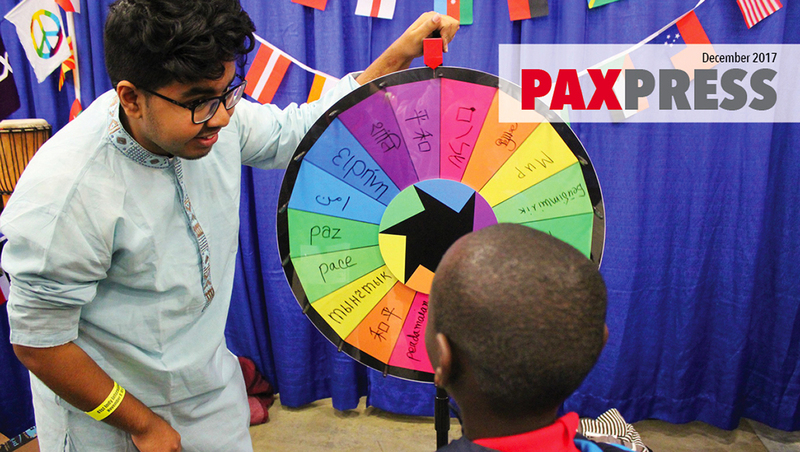 Whether you are a student, host family, coordinator, school official, PAX alum, or another member of the extended PAX family, we want to hear from you. 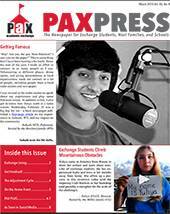 Email your stories, photos, and videos to the PAX Press team to be featured in the next issue. 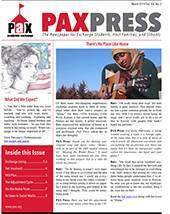 Whether you missed last month's edition or are interested in scanning the archives of PAX history, you'll find links to back issues through 2010 at the bottom of this page. 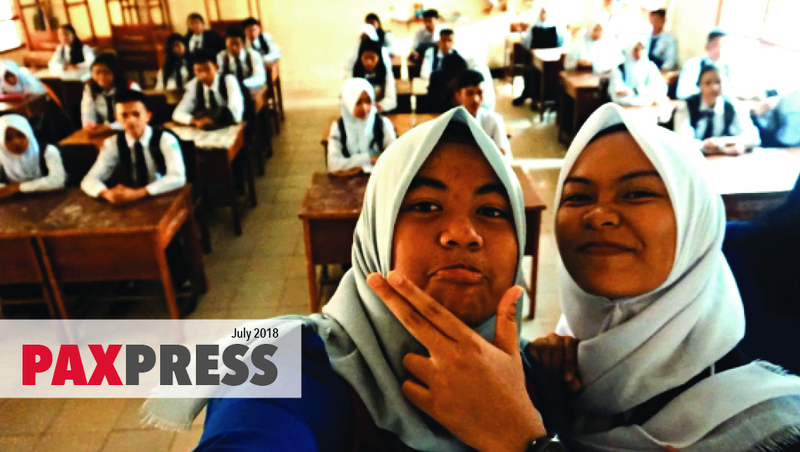 Graduation, prom, and the end of the program year have host parents and students alike in a reflective mood, but while everyone is wrapping up with class, one student goes out with a fun touch of tackiness. 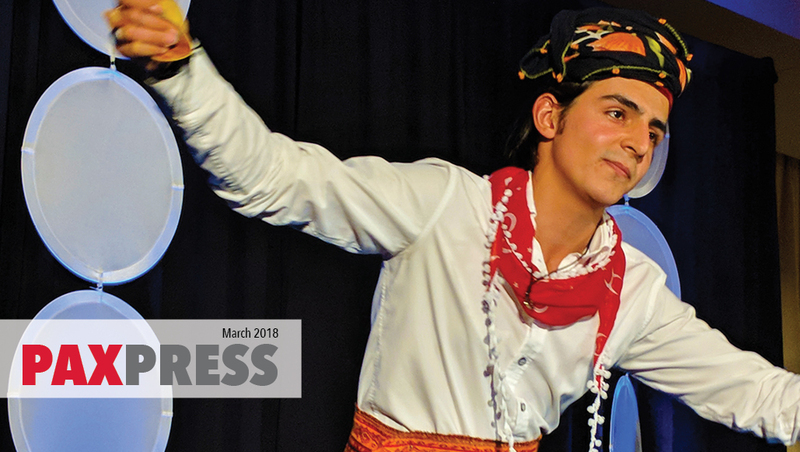 Pan (Peter), Poe, and Pugsly: As you'll see in this issue, fans received encore performances from many of our theatre students, but PAX Press readers won't be so lucky—this is it for this program year! 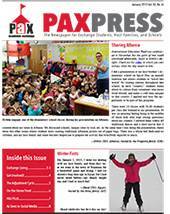 Baseball, camping, an d hiking... spring has finally arrived for our patient PAX students and families! 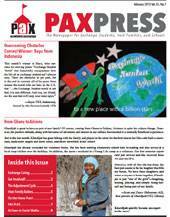 Beyond these activities in the increasingly hospitable outdoors, you might call this the "volunteering issue." 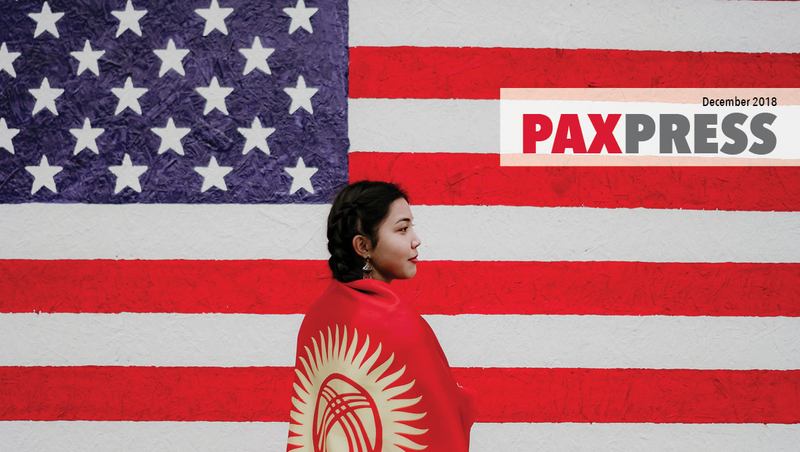 Our international teens have been sharing their culture, time, and efforts serving meals, presenting traditional dances, tabling at cultural fairs, tending book nooks, readying community gardens for planting... and would like to tell you what they've learned. 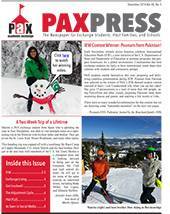 Our students are finishing the winter in style; this issue is proof! 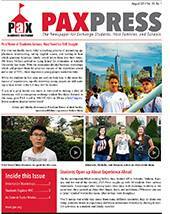 Here's just a taste of what we have for you this time around: a close encounter with a Venus flytrap, an exciting update from a PAX alumnus, a Lunar New Year lambing miracle, another PAX student inducted into the National Honor Society… And just when you thought we were finished, we have S'mores! 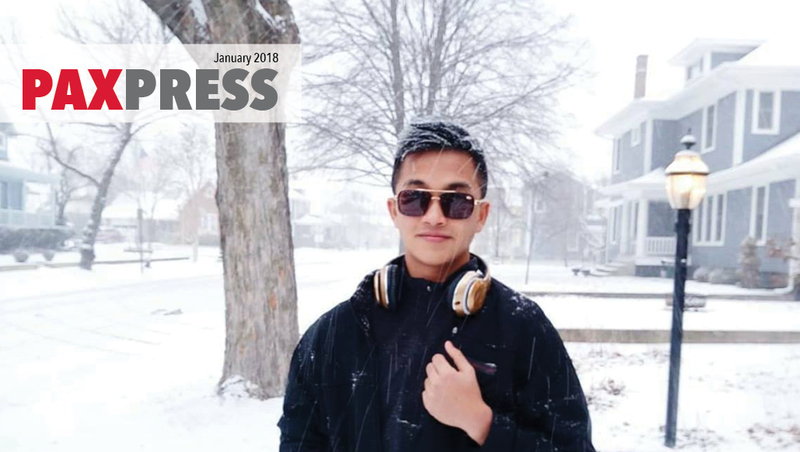 Picking out Christmas trees and dancing up a storm; skiing down the slopes and getting out of the norm; working up the courage and overcoming stress...the class of 2015 continues to impress! 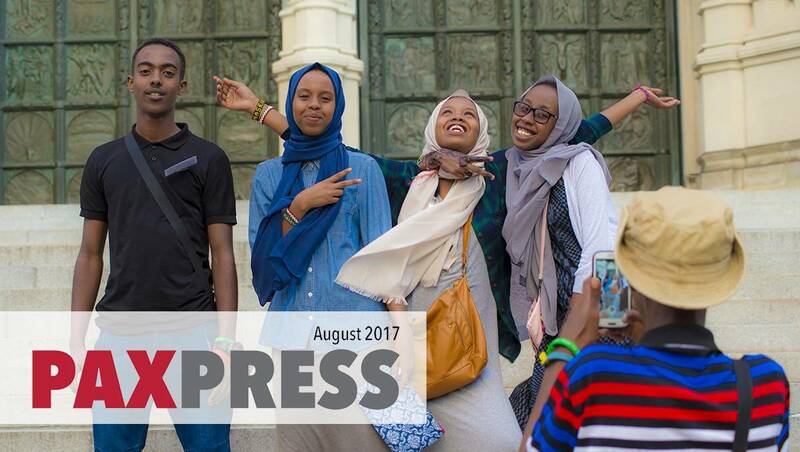 Don't miss one of the best issues of the newspaper for exchange students, host families, and schools yet, including a full two-page feature devoted to International Education Week. 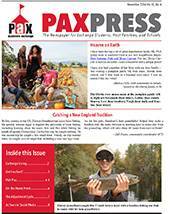 Trout fishing, traditional Indian dance, trips to the pumpkin patch, trick-or-treating for UNICEF, a true Thai champion, and a Kenyan trying to "toughen" up for the Vermont winter...it's all in the November issue! 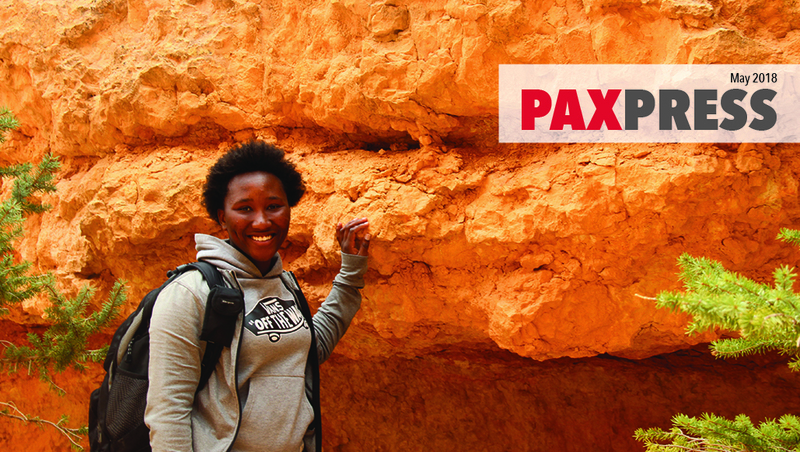 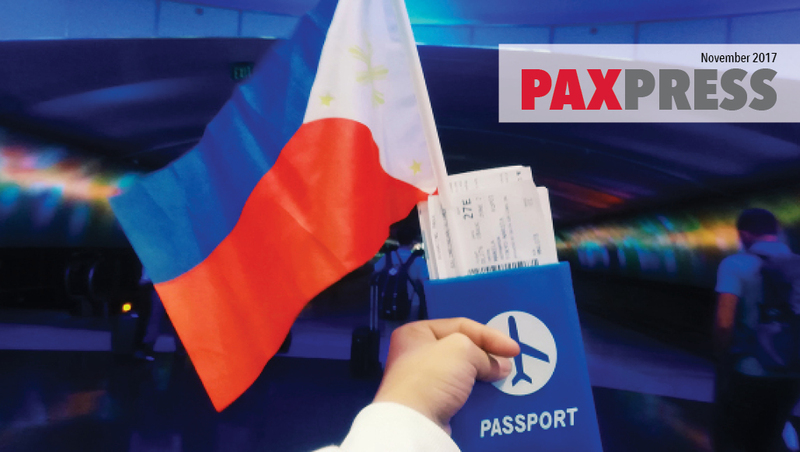 Timeless autumn traditions, futuristic robots; breathtaking hikes, lip-smacking apple pies; a sweet 16 to remember, a state-inspired poem to never forget...presenting the October edition of PAX Press. 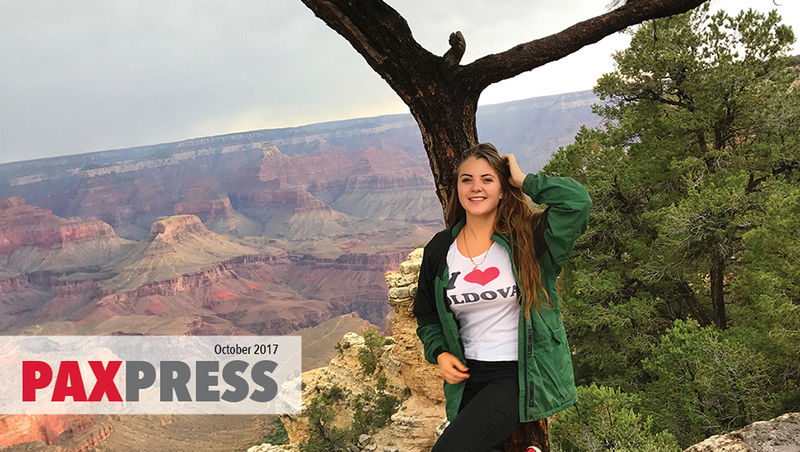 Alaska to Texas, New Hampshire to Utah: we have heard from the class of 2014/15! 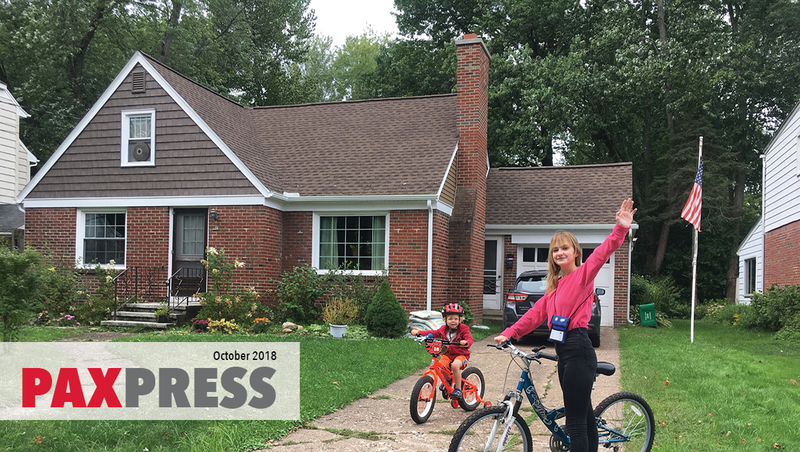 They are getting out of their comfort zones, donning the local duds, marveling at the landscape, jumping for joy, and marking their homelands on the mental maps of Americans of all stripes. 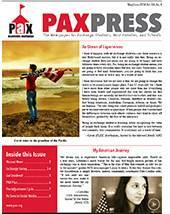 Read all about it in this year's first full-length issue. 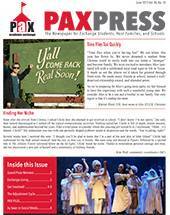 It's your first peek at the 2014/15 class! 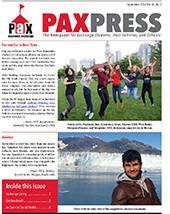 Times Square photobombs, inspiring poses in front of the Statue of Liberty, reflective student quotes on the experience ahead, and a full report on student workshops at Adelphi University—the first issue of PAX Press' 20th volume is chock-full! 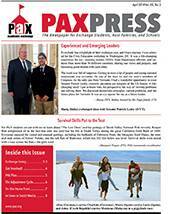 From the epic (mock trailer for a full-length exchange student motion picture) to the impressive (PAX alumna putting the leadership in Future Leaders Exchange (FLEX)) to the avant-garde (three prom dates), the May/June issue has the great stories you expect and which will keep you reading all summer long! 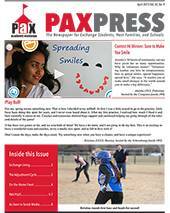 From the important (YES student sits down with U.S. senator) to the uplifting (Mississippi students pitch in for the Red Cross) to the earnest (entire Charlotte cluster "locked up" at Fort Pulaski) to the silly (of course, there's an April Fools' story), this month's issue has it all! 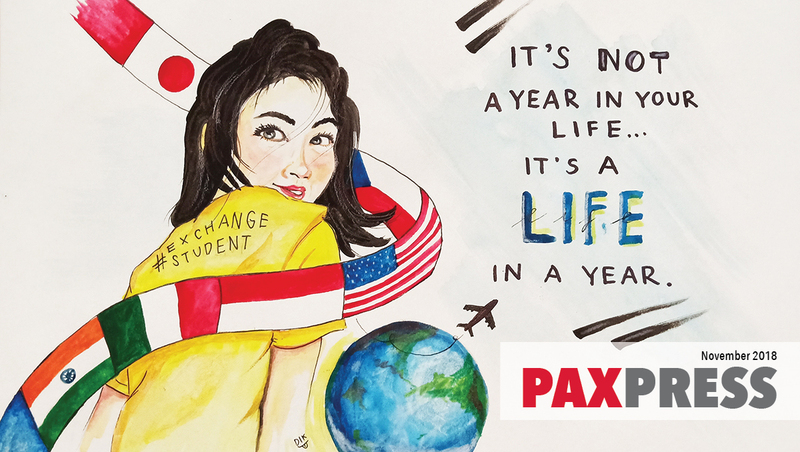 From an exclusive PAX Press article on developing friendships with Americans as an exchange student (submitted by a cross-cultural expert) to an incredibly impressive and heartfelt original song and video by a PAX student (accompanied by an interview with the artist), we could not be more excited about our first issue in the new format!